The folks over at Bloody Disgusting have been reporting steadily on Slasher Vol. 1: Summer Camp since it was announced last November. Since then, the game has slowly revealed itself as something more than a tribute to summer-camp horror movies of the ’80s, and with the recent addition of Kane Hodder, the cat was all but out of the sleeping bag. Today, it was officially announced that Slasher Vol. 1 would actually be an official Friday The 13th video game. According to the new Kickstarter page for the game, the team at Gun Media had “announced Summer Camp last fall via IGN. Soon after, Sean Cunningham personally reached out to us behind the scenes.” After a series of meetings, Cunningham (who directed the original film) granted Gun Media the Friday The 13th license. In addition to Cunningham and Hodder returning to the fold, composer Harry Manfredini—the man credited with creating the famous “ki, ki, ki, ma, ma, ma” sound effect—will come up with some new music for the video game. However, probably the biggest get, particularly for anyone who pored over issues of Fangoria and Gorezone as a child, is the return of Tom Savini. The game itself looks to be a long way from throwing rocks at zombies and birds while searching for a lighter, and gone is the turquoise Jason of the 1989 NES version. 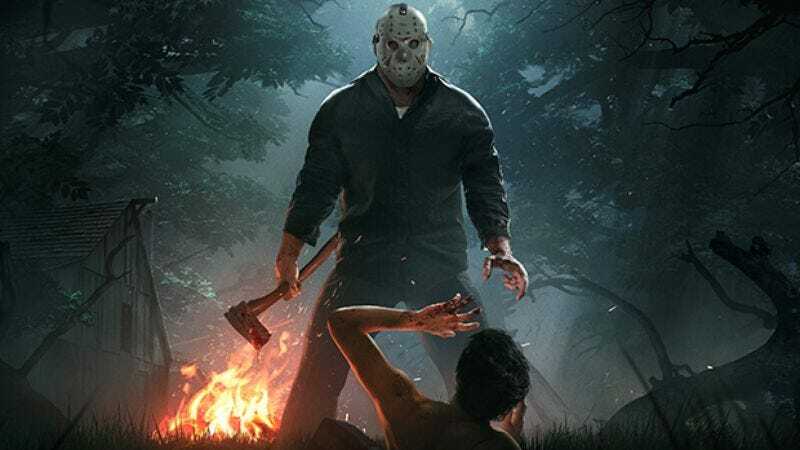 The gameplay was originally slated to be strictly multiplayer, but with the addition of the Friday The 13th license and the Kickstarter, there is proposed single-player option as well. There will be plenty of counselor archetypes to chose from (The girl next door, the edgy guy, hopefully Miguel Nunez Jr.’s Demon) and possibly the return of Tommy Jarvis.